As one of the classic home video game consoles, Wii from Nintendo wins great popularity around the world. It introduces many great features for improving users game experience, especially for family gaming. But for people who expect an all-purpose entertainment hub, Wii still has some limits. For instance, Wii doesn’t support DVD playback yet many other present game consoles do. If you search for the answer of “Does Wii play DVDs” on Nintendo official site, it’s surely “No”. However, you can make up the defect by yourself. And here I will teach you how to play DVD on Wii. The easy and safe solution to play DVDs on Wii. WonderFox DVD Ripper Pro enables you to convert any DVD disc into Wii supported files that can be played on Wii smoothly without any risks. The process is simple, intuitive and fast. Can Wii play DVDs directly? Of course, you can. First you need to unlock Wii with a program called Homebrew Channel and then install a Wii DVD player on your Wii for DVD playback. Please note that this method is risky. The game console would become brick if handled incorrectly. Let’s see how to play DVDs on Wii. Step 2. Once you have installed and run Homebrew Channel, you need to install the necessary files - DVDX (You can find it with the Homebrew Browser) and Mplayer. Step 3. Insert your SD card into card reader and then create a directory named apps on SD card. 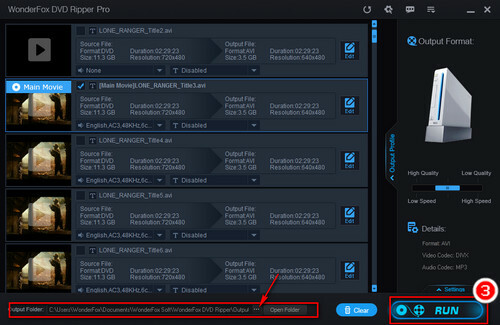 Then copy the “DVDX” file and “Mplayer” directories into the apps folder. Step 4. Eject your SD card and pop it into your Wii. 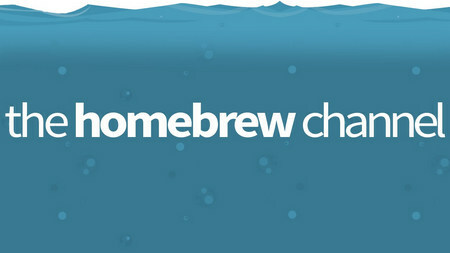 Turn the game console and start the Homebrew Channel. Step 5. If done correctly, you will see the “DVDX” and “Mplayer” apps. Run the DVDX installer. Then select “Normal Installation” and wait for the process. Step 6. Now you can go back to Homebrew Channel, and insert a DVD disc into Wii and run Mplayer to play DVDs on Wii. Since method 1 is a risky option and the procedure is complicate. You must be careful, or it may take things the wrong way. Here comes an easy and sure fire way to play DVDs on Wii. WonderFox DVD Ripper Pro offers the easy solution to convert any DVDs to digital video formats. 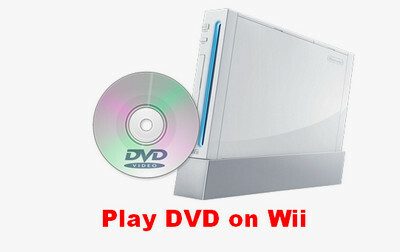 Therefore, you can copy the DVD to hard drive and play them on Wii without any hassles. The method is 100% safe, easy and fast. Before start, please free downloadfree download the software and insert DVD disc into DVD drive of your PC. To play DVD on Wii, first run WonderFox DVD ripper Pro. Then press DVD Disc button, choose the needed DVD movie, and then click on Ok. This program can also convert ISO image and DVD folder. Soon the DVD will be loaded successfully and the main movie will be selected. Click on the Output Format button on the right and choose Wii profile under Other tab. The software offers the ready-made presets for various devices including Wii, PS4, Xbox, mobile phone, TV, etc. Besides fixing the problem of “Can Wii play DVDs”, it can also solve the DVD playback issues on your other devices. Click on the … icon next to Open Folder to specify the output path. Finally, click on Run button to finish the conversion. It can convert a 150-minutes movie in an instant. Now, transfer the converted DVD movies to your Wii and play it at ease. 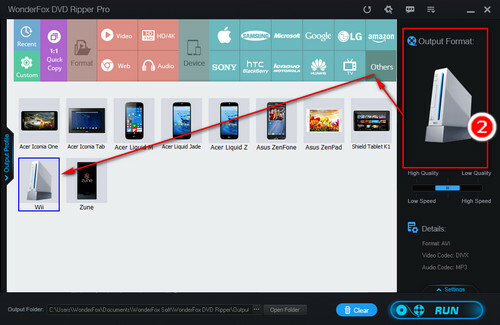 Moreover, you can easily copy the DVD to PC, TV, tablet and more mobile devices for handy playback. WonderFox DVD Ripper Pro can not only help you to convert DVDs to Wii supported formats but also convert DVD to MP4, AVI, MKV, MOV, WMV and other 300+ sites and popular devices. Moreover, it supports 1:1 DVD to ISO and DVD folder quick copy. With the software, you will never trouble by the problem like “Can Wii play DVDs”. It’s absolutely the quickest fix to Wii DVD playback problem.